We have been having FUN with Letter Ff in our room! Our Fingerling Friend mad a guest appearance and we named her Tickles! We fixed farm fences with Finn, followed Fifi Ferret’s flute with her fabulous friends and made our very own Foil Friends as we learned all about how to be a good friend! We also found that Ff is for… fabric, face, fairy, fall, family, fan, farm, feather, feelings, feet, felt, fennel, fern, festive, fiddle, Fig Newtons, figs, fine motor skills, finger, finger paint, fire, fire engine, fire fighter, first place, fish, fish crackers, fish sticks, fishing, five, flag, flamingo, flower, flute, fly, fondue, football, fork, fossil, four, fox, frames, French bread, French fries, French toast, friend, friendship, frog, frosted flakes, fruit, fruit cups, fruit roll ups, fruit snacks, fudge, funnel, and so much more! 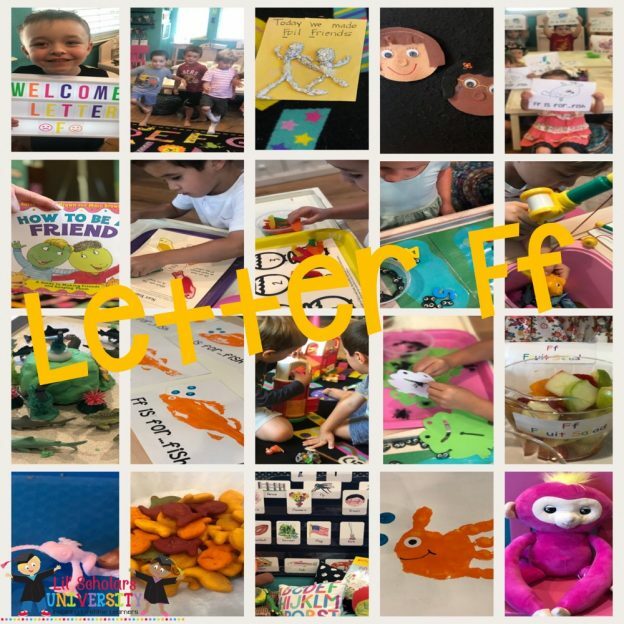 Fun with the Letter F and Feathers, Faces, Feelings, Farm, Frogs, Fruit, Feet, Fingers, Friends, Five, Four, Fire, Firetrucks, Fish, Fishing, Foam blocks, Felt, Fine motor skills, Figs and more! !